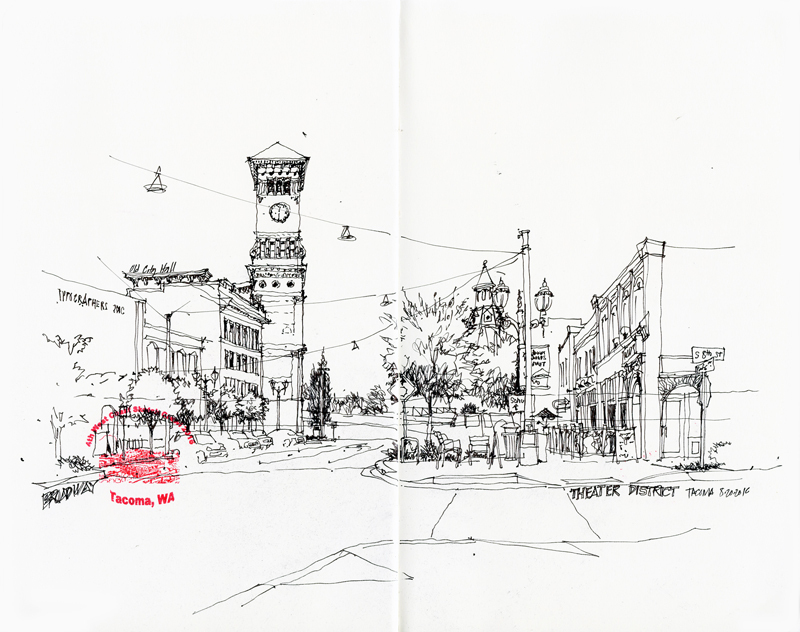 Here are a couple more sketches from the 4th Annual West Coast Urban Sketchers Sketch Crawl. Saturday afternoon I ventured to the Theater District where I captured this view of Old City Hall, designed by E.A. Heatherton and built in 1893. 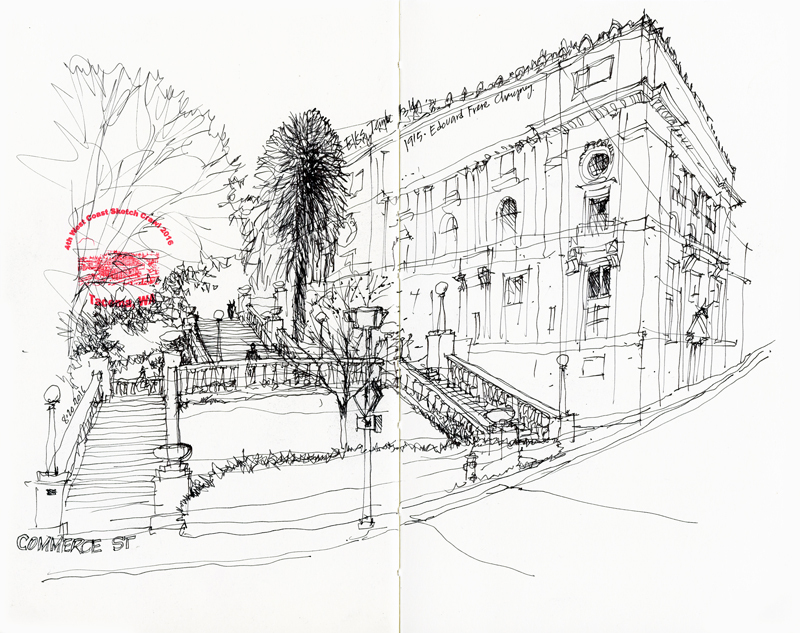 The Italianate structure features a ten-story clocktower that establishes the focus for the composition. The second view is of Tacoma’s version of the Spanish Steps that links Commerce Street and South Broadway. Adjacent to the stairway is the Tacoma Elks Lodge. Interestingly, after drawing these two views, I discovered that McMenamins—the Pacific Northwest enterprise of pubs, historic hotels, and concert venues— is currently rehabilitating the Elks Lodge and has a tentative agreement to lease and then purchase the Old City Hall, the intent being to form a hotel, restaurant, and entertainment complex in the heart of downtown Tacoma.